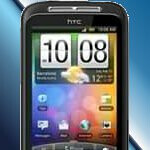 Generally attached with a low key approach, especially when it’s trying to find its place amongst HTC’s stable, the HTC Wildfire S will begin to go on sale in the UK starting tomorrow; April 27th. Sure it might not exhibit the aura surrounding some of HTC’s other top shelf devices, but it’ll nonetheless find itself suitable in the entry-level market. Clove UK will in fact begin selling the SIM-free black model of the HTC Wildfire S for £238.80 ($393), and will offer the silver version at a later time sometime next week. Just as a refresher, the Wildfire S features a 3.2” HVGA (320 x 480) Super LCD display, 600MHz processor, 5-megapixel camera with flash, 512MB of RAM & ROM, and will be powered by Android 2.3 Gingerbread. Of course, you’ll probably want to wake up early tomorrow to place your order, especially when other retailers like Amazon UK are expected to sell the device at a later date. I live in the UK and have never heard of clove, the only one's i know are .vodaphone talkmobile three virgin mobile orange t-mobile tesco-mobile asda mobile(wall mart) O2. there is no such thing as clove in the UK they do not sell phones here! It indicates that Clove is a retailer, not a service provider. To The Admin... Will u please tell me when it comes on Indian Market ? and what is the price ?